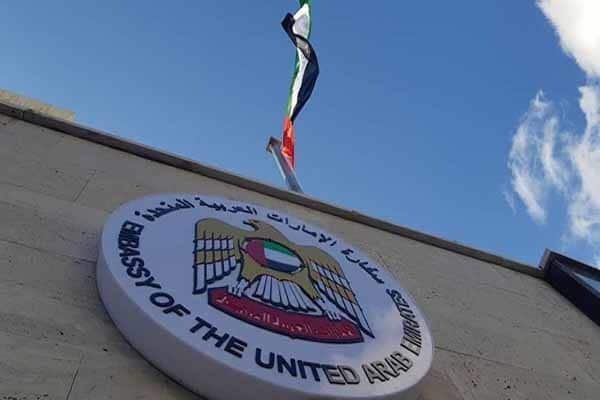 UAE reopens embassy in Damascus; Arabs in line to return to Syria - The Maghreb Times ! Besides the security developments in Syria that have always made headlines and the Zionist’s attacks on Syria, these days Damascus has become a hangout place for states that have not achieved much in the past few years of war against Syria. As President Donald Trump announced the US withdrawal from Syria and Turkey affirmed a plan to operate in eastern Euphrates, Israel begun targeting passenger places from Lebanon’s airspace in Syria, although with not much achievement. Another development in Syria is the United Arab Emirates has recently announced reopening embassy in Damascus. In addition, for the first time, after 8 years, a Syrian passenger plane, flying 150 passengers for the New Year holiday, landed in Monastir Habib Bourguiba International Airport in Tunisia. The aircraft belonged to the Cham Wings Airlines Company, a private Syrian airline. At the airport many Tunisians came to welcome the Syrian tourists, among who were representatives of civil society, human rights defenders and journalists. Talah Hassan, president of the Syrian community association of Tunisia, had announced that the travelers would spend a week in Tunisia to visit various Tunisian cities. Although former Tunisian President Moncef Marzouki cut ties with Syria in 2012, the incumbent president Beji Caid Essebsi restart relations with Damascus. There have been also talks on Syria to join the Arab League once again. The 30th Arab League Summit is scheduled in March 2018 in Tunisia where Tunisian leaders will try to bring Bashar al-Assad to the table again. However, the UAE reopening embassy in Syria is happening when the Arab states did all in power to help topple al-Assad’s government. Atwan expected more states to resume relations with Damascus with the coming New Year and more Arab leaders land in Damascus airport to begin amicable relations with al-Assad, as Sudanese President Omar al-Bashir did the same. Atwan believes most Arab leaders have come to accept al-Assad as the head Syrian government, particularly with US pulling out Syria, the path for Assad has been paved further. Some Persian Gulf Arab states like Oman never closed down embassy in Damascus. Omani Foreign Minister Yusuf bin Alawi traveled to Damascus a few months back. Bahrain is seeking to reopen embassy in Damascus soon as Bahrain’s Minister of Foreign Affairs Sheikh Khalid bin Khalifeh warmly received his Syrian counterpart Walid Muallem in September. Atwan also suspected that once Abu Dhabi opens embassy in Syria, the UAE may represent the interests of Riyadh in Syria as it holds close relationship with the House of Saud. Dismissal of Adel al-Jubeir as a foreign minister, who kept pushing for removal of al-Assa, may have to do with the reopening of the UAE embassy in Damascus. In any case, Damascus will be witnessing quite bit of developments in months to come including high level officials’ trips which would mean victory for Syria after seven years of fighting terrorism at home.